Photo courtesy of Verve Wine. As appealing as it may be to browse shelf after shelf of carefully selected wines, consumers today live in the Amazon Prime era of purchasing. E-commerce sales grew by nearly 17 percent from 2016 to 2017, according to the U.S. Department of Commerce, as consumers purchase everything from groceries to engagement rings online. Small neighborhood wine shops and large chain retailers alike can take advantage of e-commerce’s prevalence to boost their wine sales and increase overall revenue. SevenFifty Daily spoke to several U.S. retailers selling wine online to determine best practices for launching—and increasing—online wine sales. The question of whether or not to sell wine online in the first place relies on a positive cost-benefit ratio. 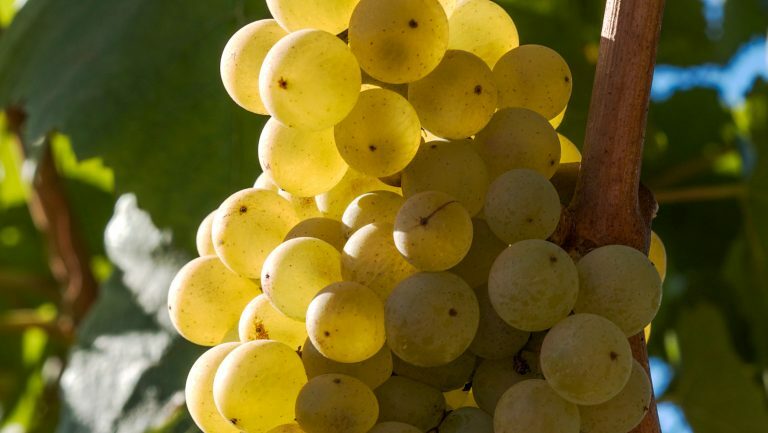 Some retailers, like Jim Knight, a part owner and wine buyer at The Wine House in Los Angeles, were convinced of the benefits from the beginning. Knight, along with his father and brother, oversaw the launch of an e-commerce platform for The Wine House in 1997. 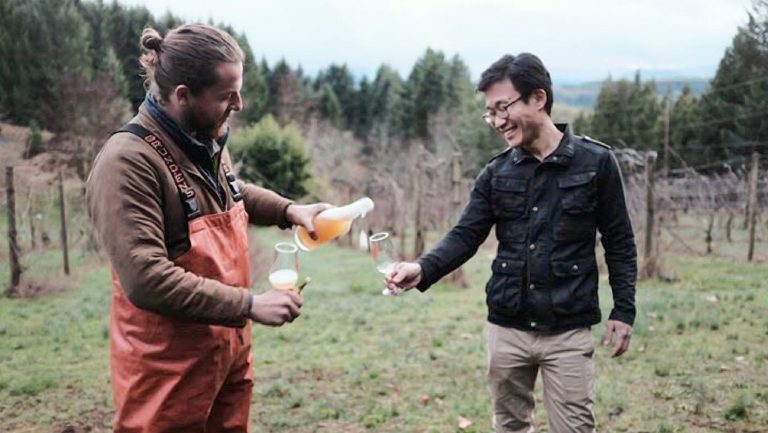 “Everyone’s time is scarce,” he says, “and online selling helps streamline wine shopping for the consumer.” The Wine House uses an e-commerce plugin to connect its online orders to its in-store inventory system. 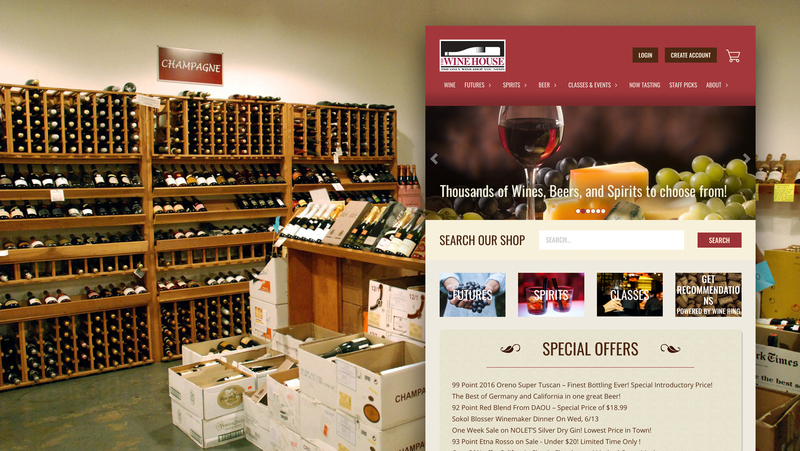 Online sales currently account for about 30 percent of The Wine House’s overall sales. Other retailers were later converts. Barry Herbst, the wine director of the Bottle Barn in Santa Rosa, California, explains that change in consumer habits was what prompted Bottle Barn to start an e-commerce business. “Younger buyers will be emerging as our largest demographic in coming years,” he says, “and they’re used to buying most things online.” While Bottle Barn currently lists select bottles online and accepts remote orders via email, they will launch a formal online sales platform later this year. 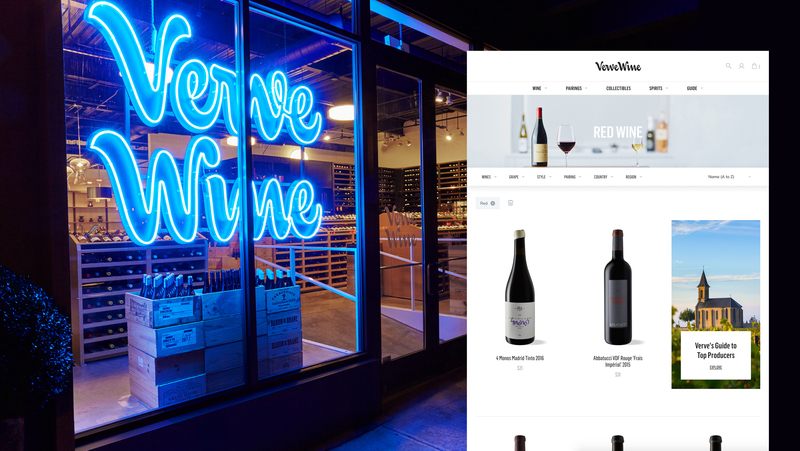 Manhattan’s Verve Wine, which will soon open a second outpost, in San Francisco, launched in December 2016 with the explicit goal to sell wine online as well as in-store. The reason, says Dustin Wilson, MS, Verve’s cofounder, was “to be able to reach a market beyond the neighborhood where our shop is located.” Verve uses an inventory management and order fulfillment software system to handle its e-commerce. Online sales now account for about 20 percent of the shop’s overall sales. But retailers that target only local customers can benefit from online wine sales as well. Eileen Elliot, the director of operations at Social Wines, a retail shop that focuses on its South Boston home, surrounding neighborhoods, and the greater city, says that the shop launched an e-commerce site earlier this year. The site’s platform allows Social Wines to accept orders and fulfill them using its standard in-store checkout system. “Being a specialty shop,” she says, “we wanted to make sure potential guests know we carry a wide range of price points and styles.” Online sales have increased from an initial 5 percent to 19 percent of overall sales in the five months since the e-commerce site’s launch. To build an online customer base, successful e-commerce retailers suggest that a shop first incentivize in-store clients to sign up for a newsletter or email list through discounts, a loyalty program, or access to exclusive bottles. Elliot notes that 90 percent of Social Wines’ monthly email recipients sign up in the store. Once they sign up, they’re entered into the shop’s database. The shop can then track guests’ purchases, offering them the convenience of remembering favorite bottles or allowing staff to recommend new options based on previous purchases. Retail shops can also broaden their potential consumer reach by listing their online inventory for free at search engines like Wine-Searcher. While some retailers pay for premium search listings, simply having quality wines at good prices can be enough to attract the attention of new customers. “We try to attract customers online through unique wine offerings at competitive prices, social media engagement, and building ​creative and useful content,” says Wilson, noting that Verve Wine does not conduct any paid advertising. The site’s content offerings include guides to major wine regions—these combine educational content with links to bottles sold at the shop. In addition to providing regional information and regionally driven retail suggestions to customers, the guides help drive e-commerce traffic to the site through search engine optimization, or SEO. 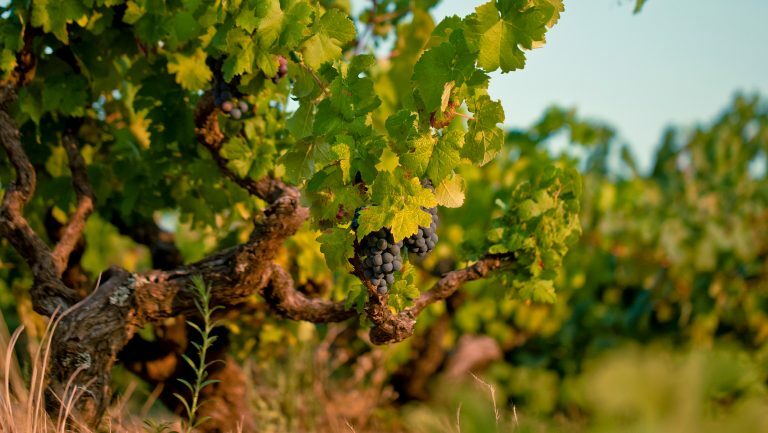 Potential customers searching online for information on Burgundy or Napa could be served up a link to Verve Wine’s educational guides in their search results, thus introducing them to the store. Once a shop has a decent base of potential online customers, a retailer must decide how and how often to communicate with them. Elliot finds success with a monthly email campaign with limited bottle specials; she sees a spike in online sales after the monthly email is sent. Knight recalls the success of a recent email blast in which The Wine House offered a Barolo valued at $60 for just $25 a bottle—all 60 cases sold out in three hours. Enticing customers with low prices on exclusive wines is one way to pique interest, but exceptional deals from distributors can be hard to come by. For those who want to communicate with clients more frequently, a more strategic approach is required. Verve Wine emails its subscribers three times a week, featuring either a selected bottle with a personal note from Wilson or a piece of insider wine information. 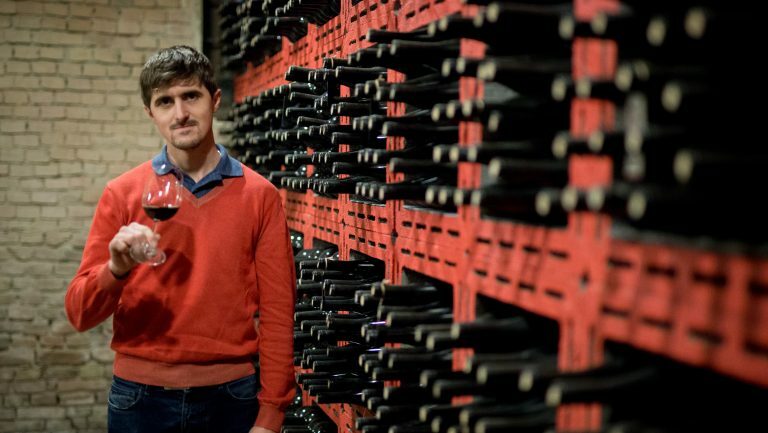 The Wine House also offers “staff picks,” but in multiple emails a day, using an app, currently in beta testing, called Wine Ring to target specific clients with the wines they would most likely be interested in. Herbst also highlights exclusivity and special selections at Bottle Barn by offering just 30 wines online at a given time from the store’s 6,000 SKUs. Expanding a shop’s sales base online will most likely require increased inventory, which means that for some retailers it’s more practical to work with an off-site warehouse. Some large online retailers, particularly ones that do not have brick-and-mortar shops, like Wine.com, have multiple warehouses across the country in order to cut down on shipping time and the aforementioned legal obstacles. All the retailers interviewed for this article currently store their complete inventory on-site, though Wilson plans to begin working with a warehouse soon. Knight actually prefers to keep wines on-site at The Wine House, citing faster order fulfillment. Herbst keeps Bottle Barn’s inventory close as well, but he separates the selection of SKUs destined for email offers and the online shop in an adjacent space for easier organization.